Swinging London. 1967. A recently divorced American, with no job and no contacts, is looking to make a fresh start in a new country. Alone, he has a revelation; with his friends, he changes evolutionary biology forever. 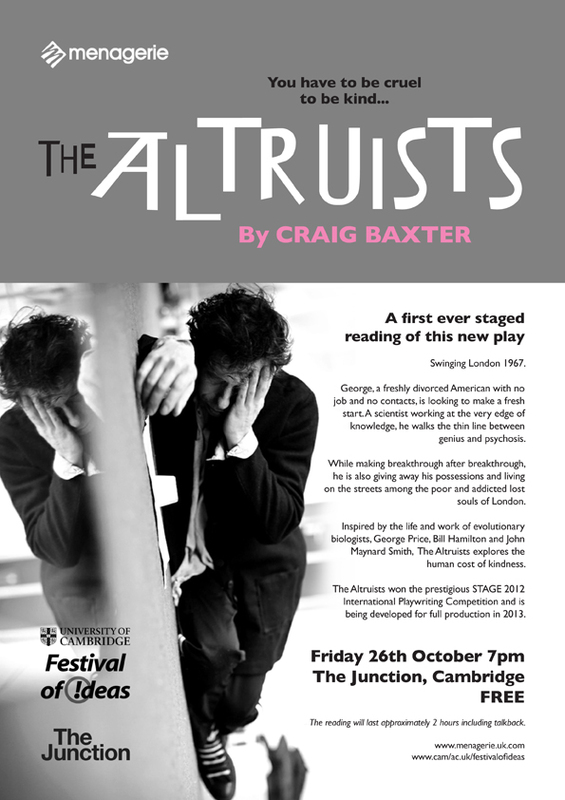 Inspired by the life and work of the evolutionary biologists George Price, Bill Hamilton and John Maynard Smith, The Altruists takes us on a journey through science, religion and experiments in living. 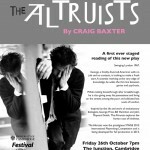 It explores selfish genes, game theory, creativity and mental illness and shows that kindness has a human cost.